I love music. I learned a little piano and even less guitar when I was young and enjoyed playing music in a neighborhood group with my brother. After that I shifted to singing for pleasure, in high school chorus, and in another band with my husband years ago. I almost always listen to music when painting and think it helps me get immersed in the process. 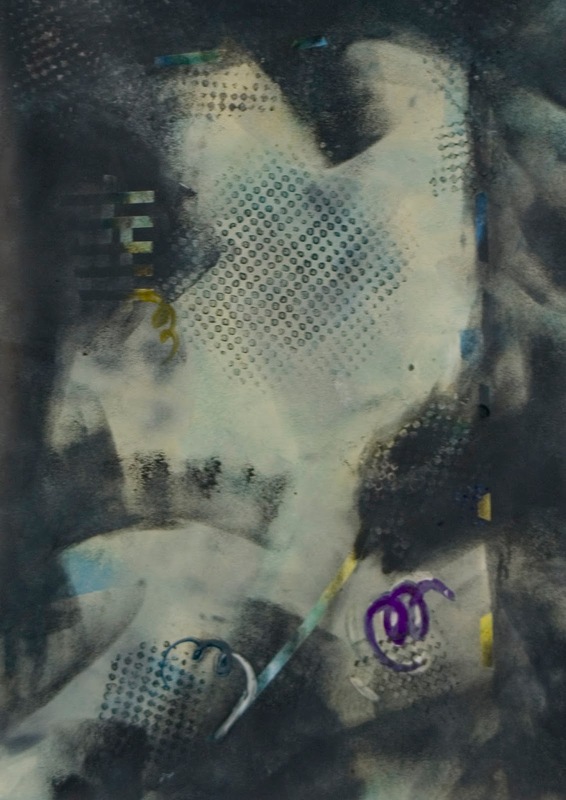 In "Music of Life" the music ebbs and flows around the figures. As I painted different ideas came to me on how to portray musical waves using lines and swirls of color. It was fun to incorporate collage elements from sheet music, as I've done in some other paintings. The collage was used to create instruments held by two of the figures and to decorate their clothing. The third figure, who is dancing to the music, also has some wisps of sheet music in her dress. I'm really excited about the gorgeous deep cradled panel I used for this painting. It was commissioned from a local woodcrafter, Ewan Tulis, who has a studio in Ellicott City, Maryland. He built it using solid Cherry wood with corner keys in Maple. You can see the panel in the side shot shown here. 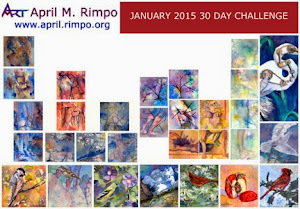 Visit his website to see his portfolio. I decided since my son and his fiance love music that this painting is just the right extra gift for their wedding. They received it yesterday and I can't wait to see it hanging in their home the next time we see them. June of last year my husband and I spent a week in the Phoenix Arizona area, where we had lived for 17 years. We visited new food spots we had heard about, checked out the two homes we had lived in, went to a gallery in Old Town Scottsdale, visited Taliesin West (where Frank Lloyd Wright had an architecture school), and had an opportunity to visit with several friends while in the area. One set of friends had their annual wine party our last weekend, which we got to enjoy. We stayed in a wonderful cabana at the home of another pair of friends for most of the week. They were great hosts, threw a party inviting former work buddies of my husband's, and treated us to great views of the McDowell mountains from their backyard and Camelback Mountain from the front yard. One evening I must have taken 50 photographs looking west toward Phoenix, as the sunset over Camelback Mountain. I finally painted Sunset over Camelback to remember our trip. We had never lived in a location that was high enough in elevation to have such a wonder view of the mountain. Thanks to great friends whose company we got to enjoy while we were in town. 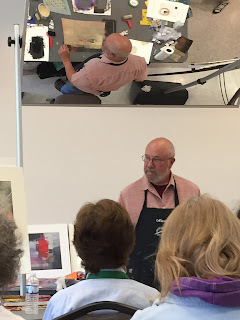 Last week I attended a workshop by Mark Mehaffey that was sponsored by the Baltimore Watercolor Society. He had us start out with some basic and complex color plan options. Some were great reminders of the different mood you can set in a painting using color, others were new and intriguing that will likely take some time to master. That was the end of "the known" for me. From there Mark took us on quite a trip through working on slick surfaces and non-objective painting. 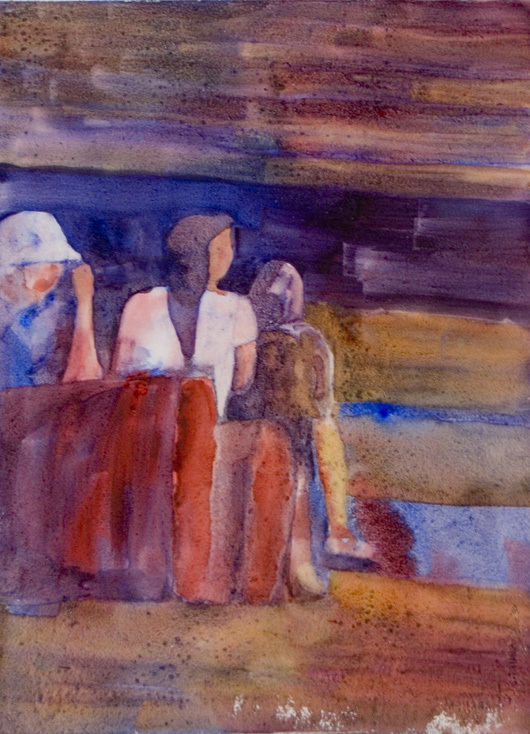 We did occasionally travel back to representational at the most unexpected times. 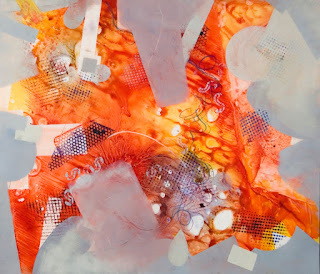 Slick surfaces included yupo and watercolor paper we had coated with gesso. 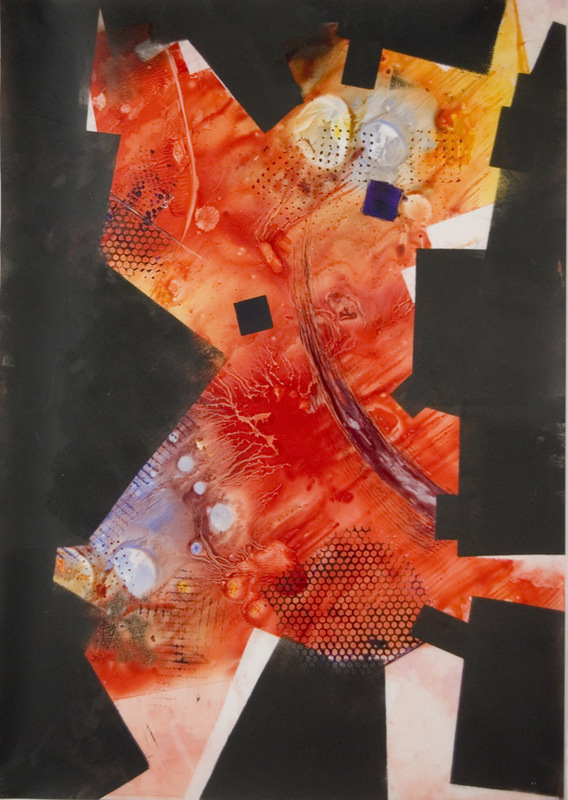 I had not used either before, but Mark really took away the uncertainty and mystery of using these surfaces with watercolor and gouache. I'm not sure how often I will use slick surfaces, but it is great knowing I can. The fear is gone. 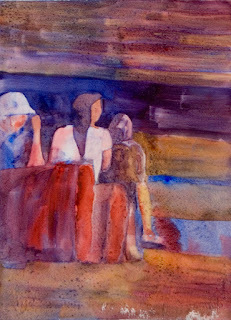 I also believe I can adopt some of what Mark taught us to work with fluid acrylics, that I have grown to love. Taking all of the new knowledge and stretching my style to incorporate it when appropriate for my subject will be wonderful. Needless to say this workshop was fun and stimulating. Mark really made us think, leaving us exhausted by the end of the day. I know I was not the only one to go home and crash after an intense day of contemplative painting. At one point Mark revealed The Secret of Great Art, "work hard", and he made us do just that. However, I think we all loved every moment of the workshop. 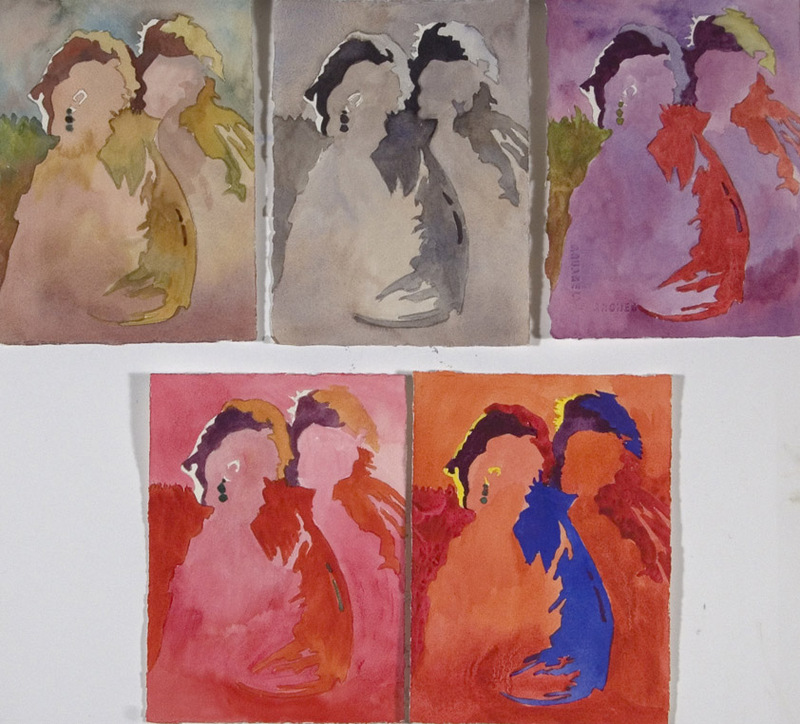 Examples of some of the paintings I produced during the workshop are included at right and below. 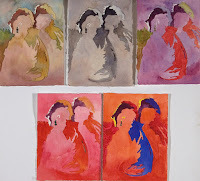 You can see they vary from my painting style, but that is the point of a workshop. Learn something new then incorporate elements of the new information into your work allowing you to propel and grow your work. Mark referred to time he takes to explore new ideas as "Play Time." I definitely had a lot of Play Time last week, and it was a blast. 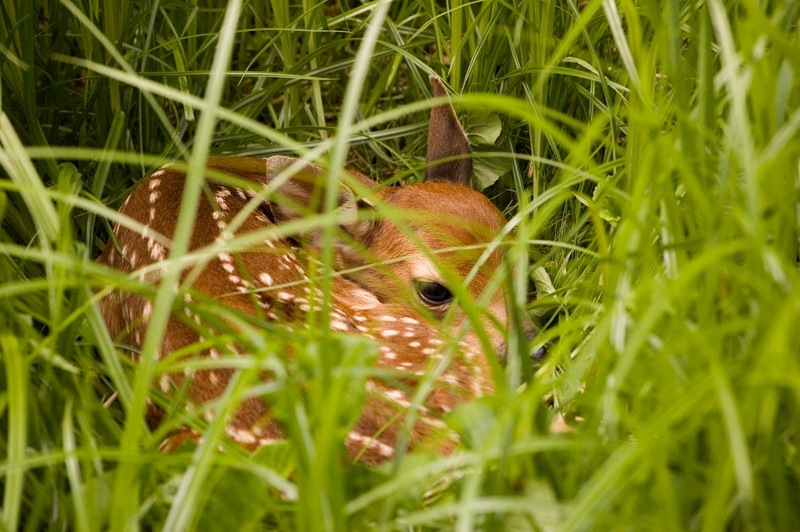 Last Sunday, when my husband started to mow the lawn he came across this beautiful fawn nestled in some of our new grass. 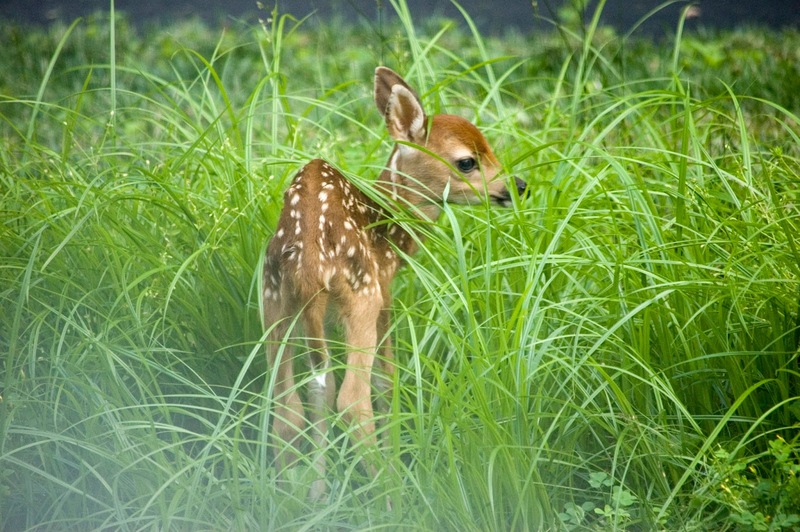 We believe the doe had given birth Saturday night; she must have thought the long grass was a meadow. Needless to say the mowing stopped so this lovely visitor wouldn't be disturbed too greatly. I setup a chair near the window that overlooked the fawn and kept an eye out for the doe and any action from the fawn. Late afternoon the doe walked between our raspberry bushes and the woods and the fawn stood up allowing me to take the photo at left. I suspect the doe saw me in the window so she stayed in the woods. The fawn took another nap and I continued to read and periodically look out the window waiting. When it was nearly dusk the doe came out of our woods, strolled around the whole house, then approached the fawn. 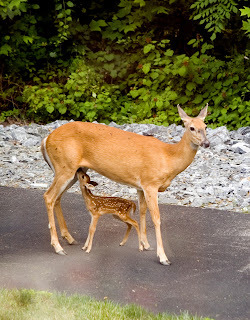 Part of our driveway runs along the side of the house into the backyard; the doe and her fawn reunited on the driveway, which was a little easier for the fawn to stand on. I loved how they touched noses when they met. 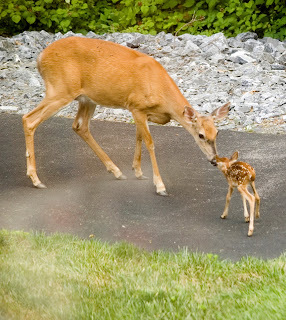 Immediately the fawn ran on her very wobbly legs to nurse while the doe stood guard. Her head kept swiveling from front to back making sure no one approached. My husband and I had a perfect view from our living room window and snapped many photographs. 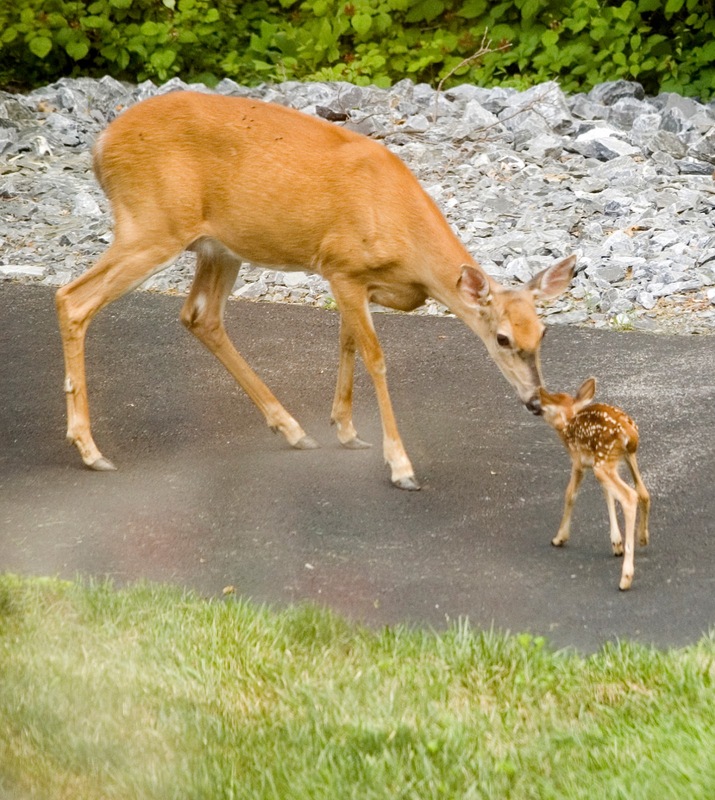 It took quite a while for the doe to convince the fawn to follow her back into the woods. I suspect they are nesting under the raspberry bush, but decided not to disturb them just yet and resisted the urge to go look. This is the first fawn we've seen in our yard in two years. I hope we get to see them again. 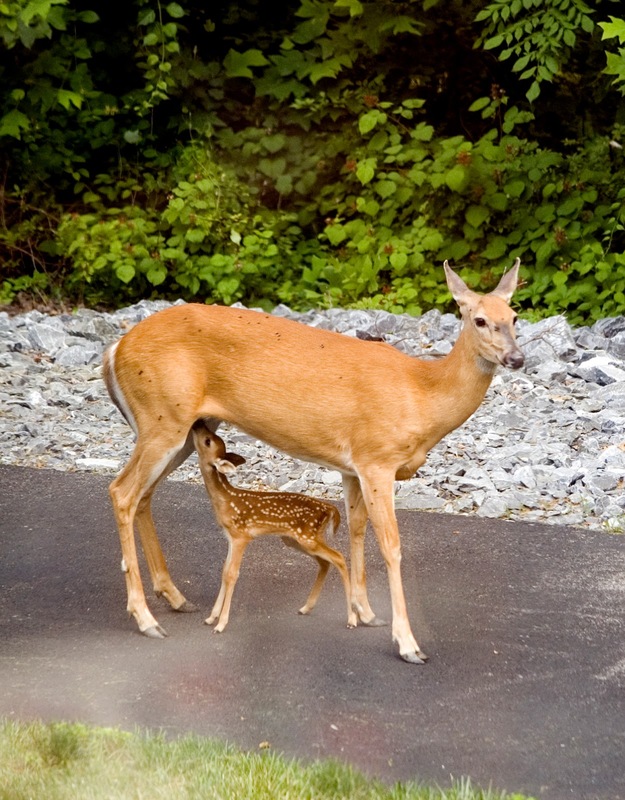 However based on our experience two years ago, the does will likely move the fawn as soon as it gets more stable on its legs. This little fawn just may have to find her way into one of my paintings like Deer with Fawn that I painted earlier this Spring.